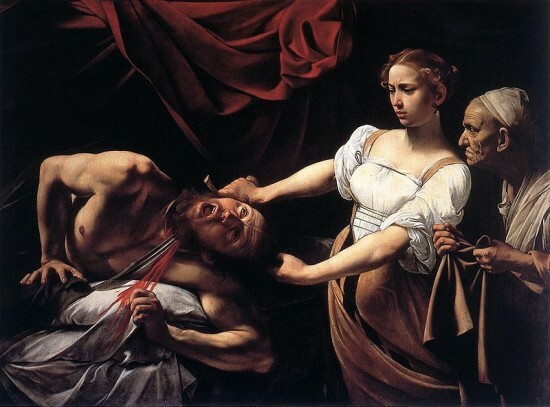 Tiny Taylor taking on the big bad men that have been mean to her reminds me of the tale of Judith and Holofernes, a hit subject in the Renaissance symbolizing intolerance of tyranny and a just cause triumphing over evil. 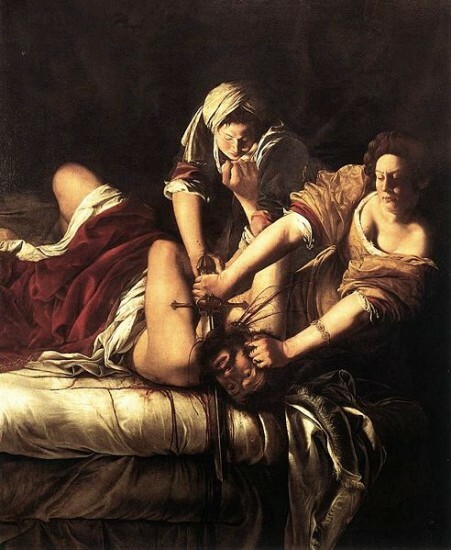 It’s a grisly and meaty scene to say the least and this Mantegna take on it (called Judith with the Head of Holofernes c. 1500) offers it up good and juicy on a place. Andrea Mantegna (c. 1431 – 1506) was the leading artist of his time in northern Italy, with an idiosyncratic style that reflects the salient interests of the Renaissance. On the one hand there’s his interest in perspective and foreshortening: the way he’s painted the fat foot of Holofernes on the bed, totally truncated and done in three convincing dimensions adds to the impact of the scene. 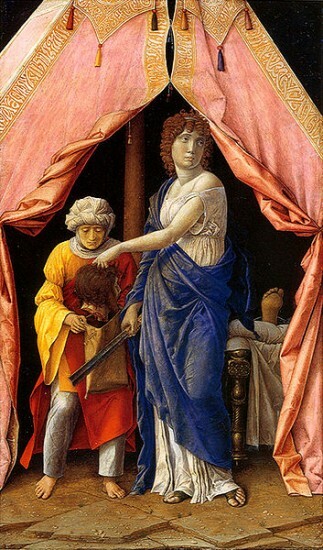 On the other hand, there’s Mantegna’s ardent study of ancient art: take Judith’s appearance, totally statue-like, with the way the drapery falls and her contrapposto pose recalling classical statuary. In fact she has a glass and chill in the aftermath of her deed that’s the cool-as-a cucumber Swift all over.